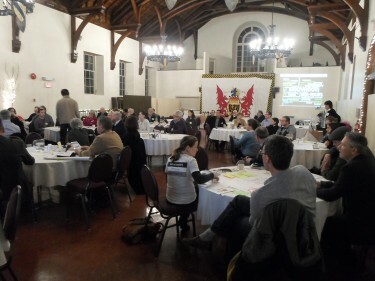 A community consultation was held at the Dalhousie University Club on Wednesday night to discuss the future of the economy in Nova Scotia. “This is government asking a group of Nova Scotians for advice,” said the President of Acadia, Ray Ivany. 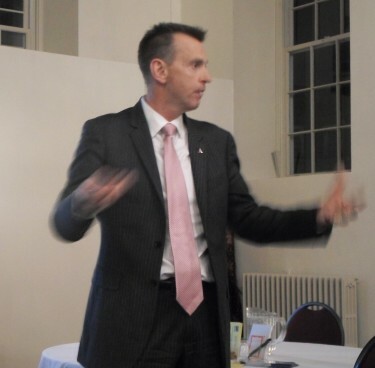 Ivany is one of the volunteer commissioners with the Nova Scotia Commission on Building our New Economy. The commission is acting indepedently from government. The Premier’s Advisory Commission on the Economy has given them the mandate to collect community input and suggestions to improve the province’s economy. What does the economy of Nova Scotia really need? What ideas do you have to make Nova Scotia a more prosperous place? What obstacles exist to prevent prosperity from happening? People liked the recycling and higher education system in the province. They said there are many successful entrepreneurs producing wine and other goods. When asked what they liked about their community, common responses included easy access to parks and wilderness, the ocean and living close to their family members. Participants said they wanted to have a better transportation system, improve literacy rates and immigration policies. They said there are opportunities to provide services for seniors to get them involved in activities and to promote buying local. Another suggestion was easier access to loans to encourage small businesses. The government gave the five commissioners 18 months to gather comments and produce a report. Ivany said he wants to be transparent about the reasons for this timeline. “The time frame by design, that is my understanding at least, is because it will straddle an election,” said Ivany. Ivany presented charts explaining the changes in the economy in the past and projected changes over the next 25 years. In Nova Scotia, there are more people over 64-years old than under 14-years old. He said this trend will continue, which means there will be a shrinking labour force in the future. Halifax will experience moderate economic growth but the rural areas will not. Ivany said the current trends indicate that in 10 to 30 years from now, Nova Scotia will be in a state of decline. He said the commission is prepared to work with any elected party. Ivany acknowledges that governments frequently commission reports and then fail to act on them. “We’re going to try to inoculate it against being put on a shelf,” he said. The interim report will be released at the end of April. Ivany said 70 per cent will be community feedback and 30 per cent will consist of recommendations from the commission. The commission will hold community sessions in Wolfville, Digby, Bridgewater and various other locations in Nova Scotia. A full list of dates and locations can be found on their website.